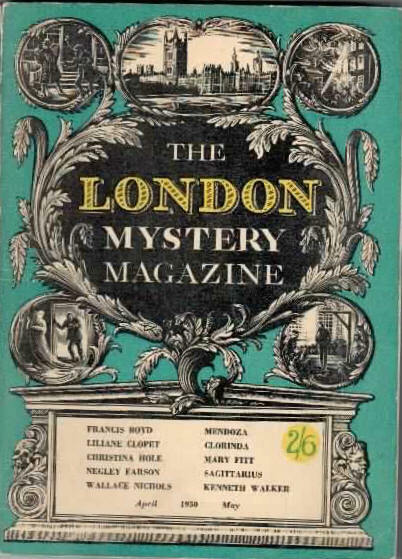 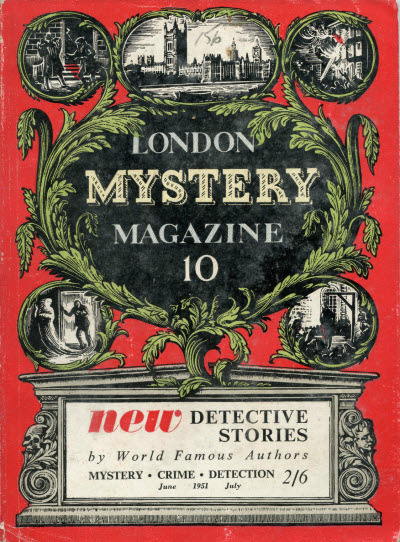 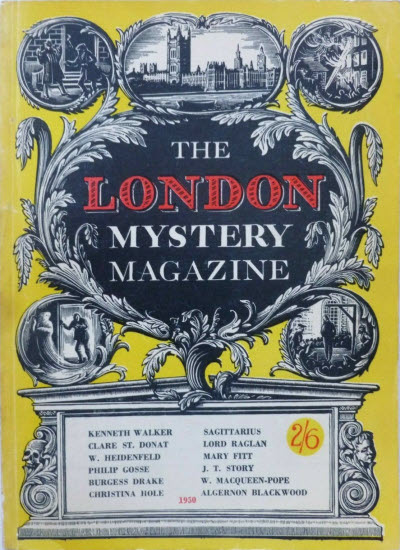 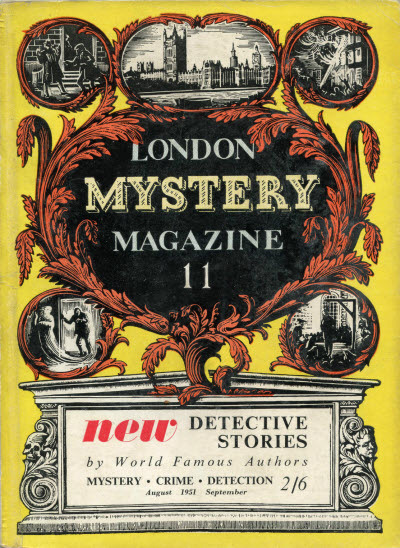 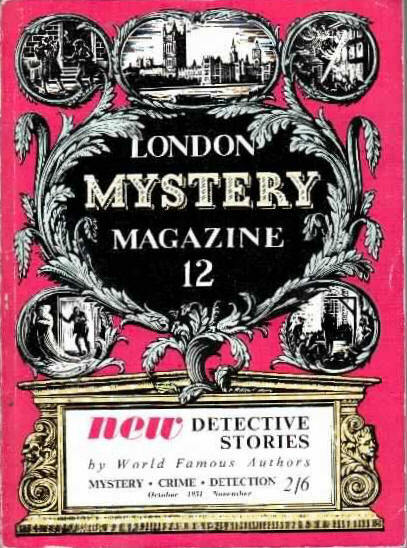 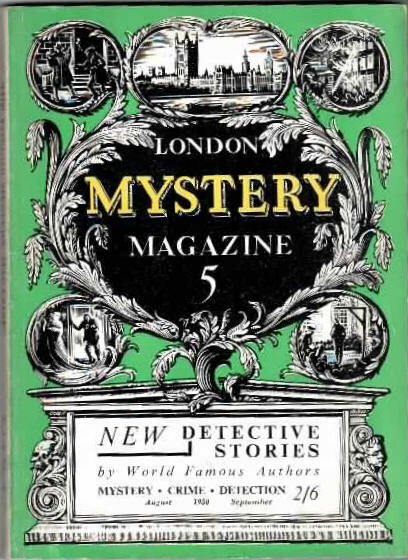 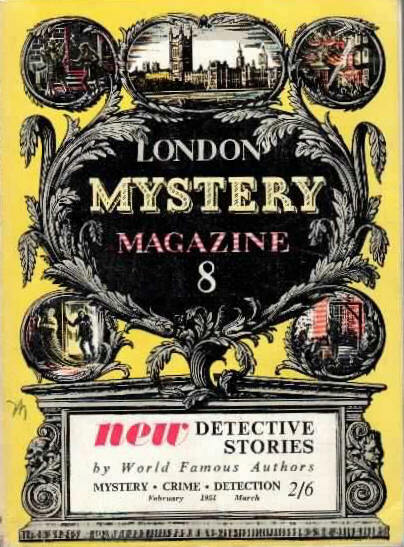 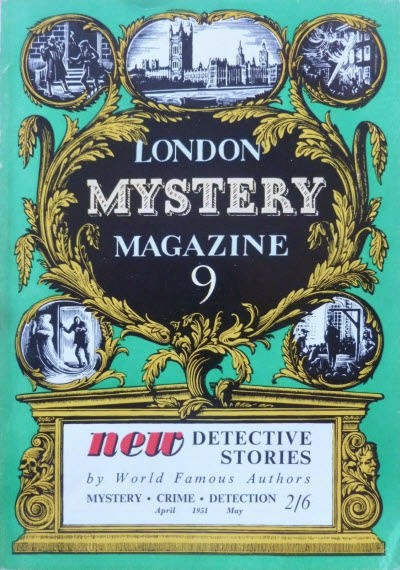 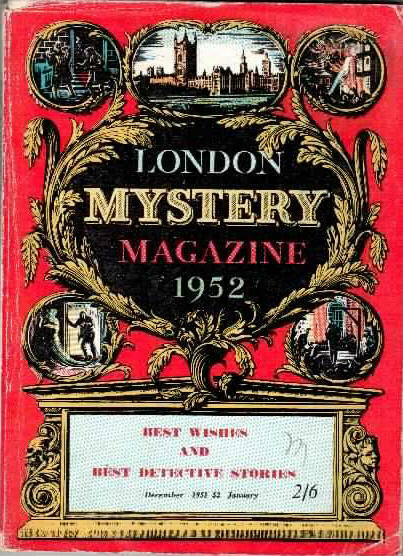 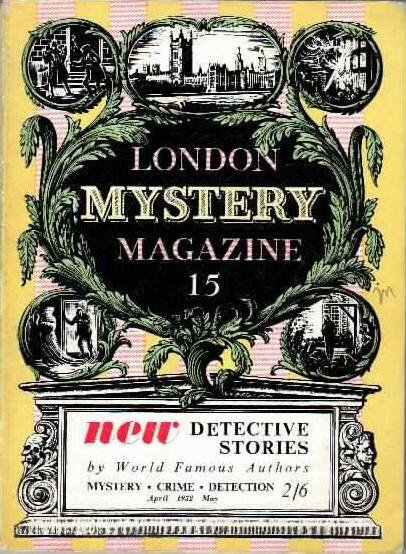 London Mystery Magazine, Ltd.; London: The London Mystery Magazine, #1  #15. 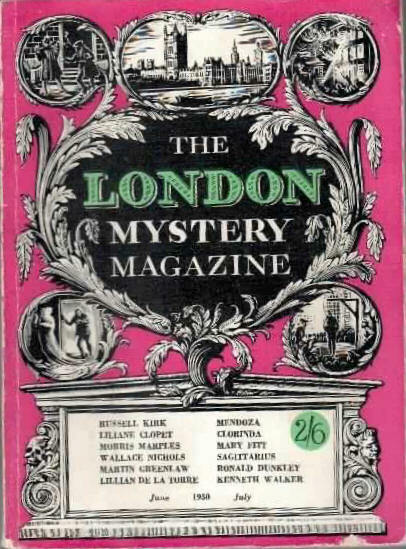 Norman Kark Pubs., Ltd.; London: The London Mystery Magazine, #16  #35. 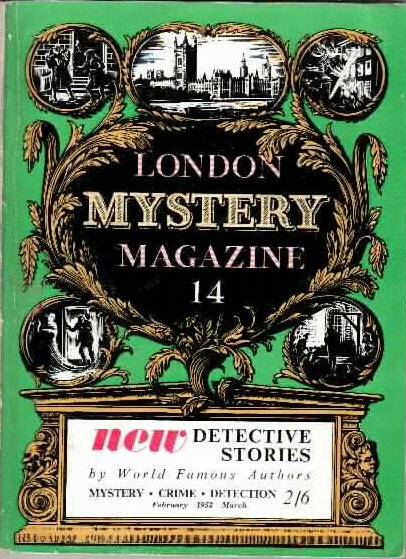 Michael Hall - Editor: The London Mystery Magazine, #1  #15. 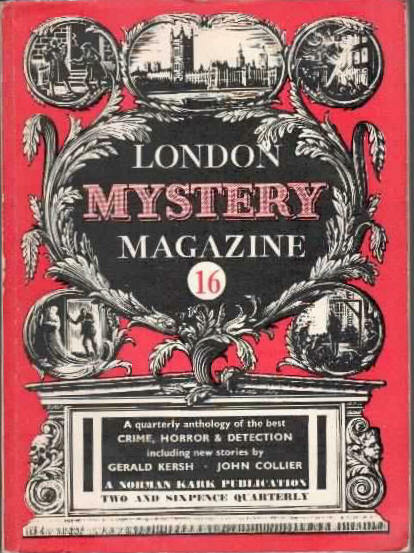 Austen Kark - Editor: The London Mystery Magazine, #16  #19. 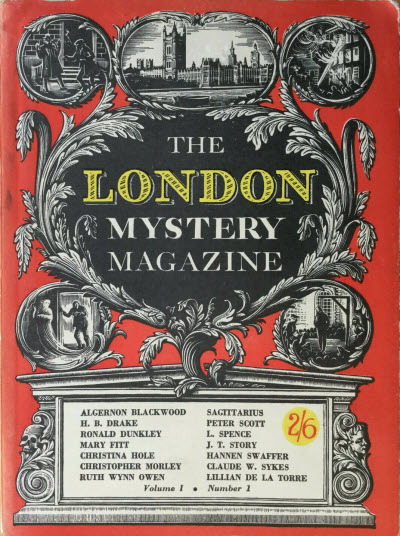 99 · The Birth of an Idea · Algernon Blackwood · ar; revised from The Genesis of Ideas (The Writer, February 1937). 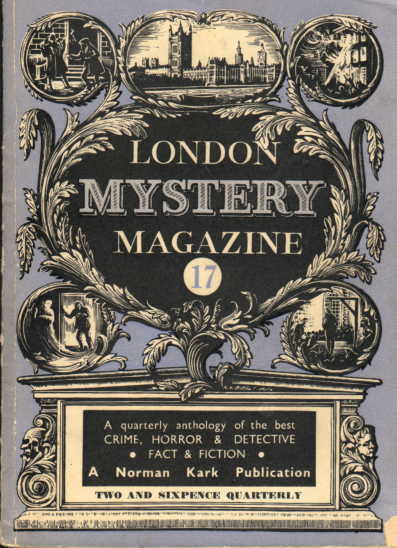 40 · The Fear of Heights · Algernon Blackwood · ms; first broadcast on BBC Home Service, October 29, 1947. 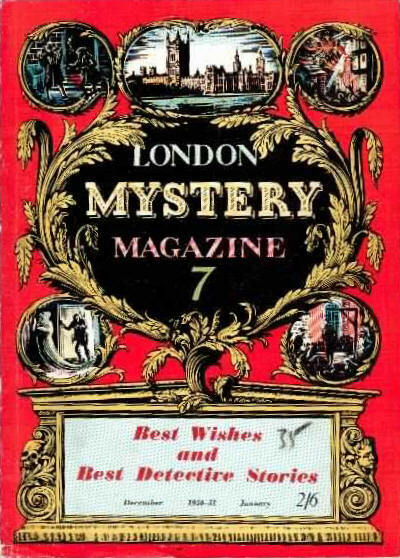 84 · Along Came a Spider · Algernon Blackwood · ms; first broadcast as Spiders and Such on BBC Home Service, June 10, 1950. 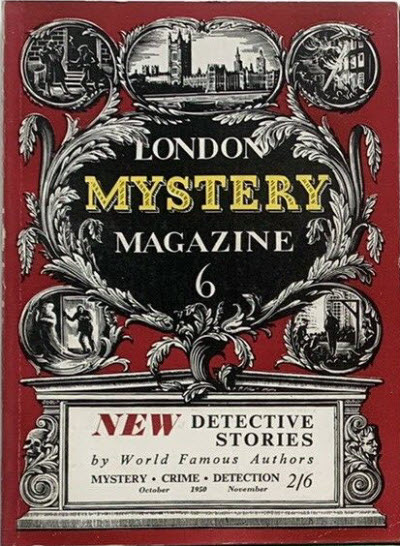 9 · Flight from Fleet Street · John Dickson Carr · pl; revised from A Razor in Fleet Street, first broadcast on CBS Radio, July 5, 1948.